Leigh MP Andy Burnham has launched his campaign to become mayor of Greater Manchester, vowing to “smash” London and the South’s hold on power in the UK. The Labour MP said that as political leader of the new devolved region he would give the North of England a bigger say in how the country is run. An MP since 2001 and a former health secretary, Mr Burnham said the problem in Westminster, Washington and Brussels was the same - a political culture that failed to answer the challenges of globalisation and de-industrialisation, and a political elite that was not listening. “That’s got to change,” he said, but with, “answers based on hope not hate”. Former chancellor George Osborne has been pushing a much talked about “Northern Powerhouse” of city regions to boost growth, with devolved powers to metro mayors and billions of pounds in spending transferred from Whitehall to the regions. Prime Minister Theresa May has denied claims that interest in the plans is cooling in her new administration. 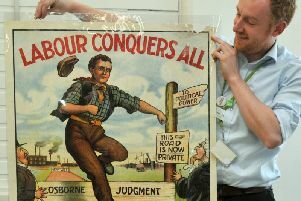 Speaking at the launch of his campaign in Manchester, Mr Burnham cited his old boss and former prime minister Gordon Brown, who wrote recently that the North-South divide is wider now than it has ever been since the Industrial Revolution. He said Brexit should have been a “wake-up call” but instead the Tory Government had returned to “business as usual”, and cited talk by Mrs May of new grammar schools, permission for fracking in the North given direct from Westminster and the refusal of a public inquiry into Orgreave. Mr Burnham continued: “Things have got to change. “Manchester has never liked being told what to do. We are going to makes sure power comes out of London and comes here. He appealed to local voters to come up with ideas to help him write his manifesto, to be launched early next year, and help make Brexit a success for the North. He continued: “The old politics isn’t just broken, it’s shattered. It’s lying in pieces. This is our chance, Greater Manchester’s chance, to rebuild something better. The mayor of Greater Manchester and other city regions will be elected at the same time as next year’s May local elections.